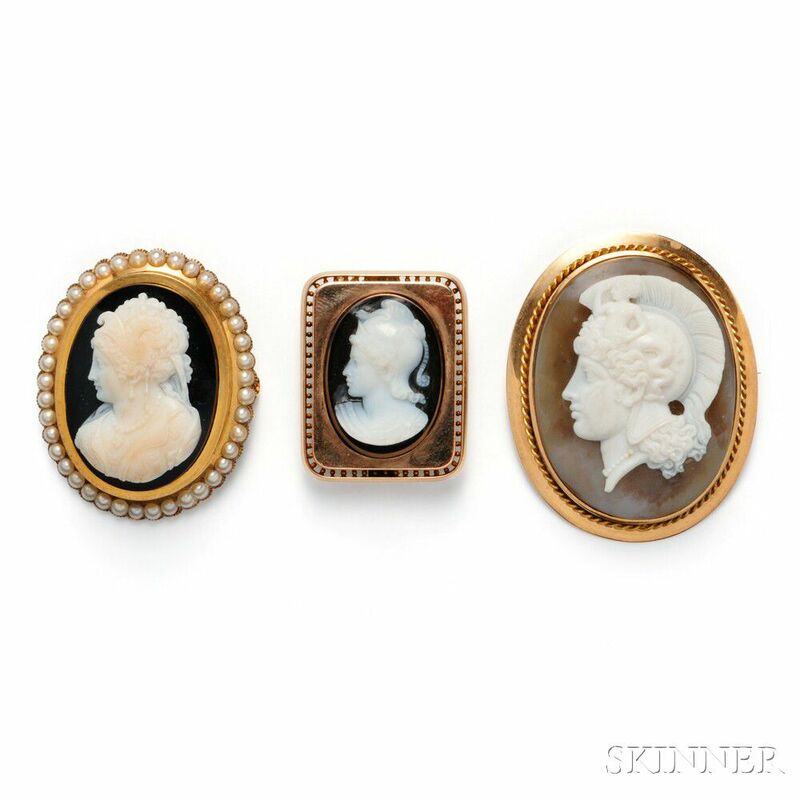 Three Antique Gold and Hardstone Cameo Brooches, depicting Athena wearing an elaborate helmet depicting a Gorgon, and another with a dragon helmet, the third depicting an elaborately dressed Renaissance woman framed by split pearls, lg. 1 7/8, 1 1/4, 1 1/2 in. Athena: Some minor loupe visible nicks to comb of helmet, and the mermaid figure has a loss to her outstretched hand. Chip lower right at end of comb/hair. 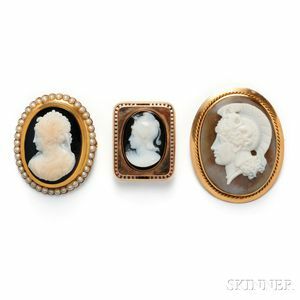 Cameo with pearls: Grime. Pony tail on back removed. Dragon helmet: small loupe visible edge nicks to cloak. Mount with later pinstem, alterations.